Regular carrot seeds are very tiny. For ease of planting, nothing beats seeds that have a coating that makes each one bigger and easy to handle. Space Bolero Pelleted carrot seeds 2cm (1inch) apart to make thinning a breeze! Sized for precision seeding. 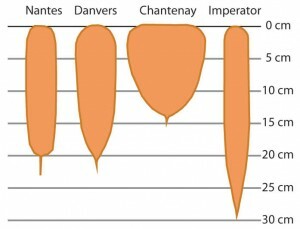 Bolero carrot seeds are a great variety for home or market. They are very sweet and crunchy, and a good keeper in storage or in the ground. 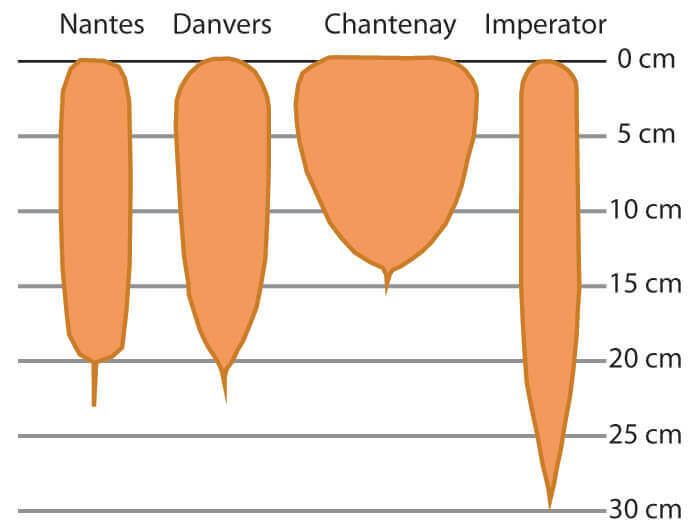 Roots are bright orange, 14cm (5″) long, and slightly tapered, with the typical blunt Nantes tip. High level of resistance to Alternaria blights and powdery mildew. Very tasty! Our Probio seed coating is organic, but the seed is not certified. * New inventory arrived March, 2019!